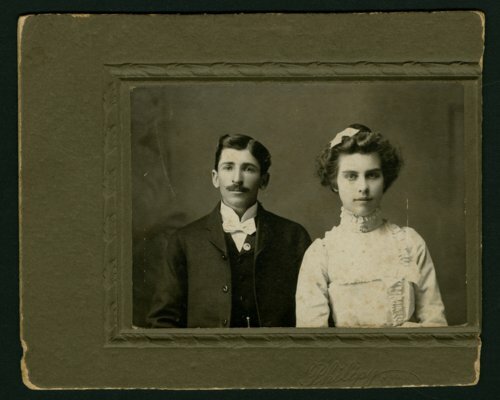 This is a photograph of Harry and Anna Cowan who lived near Fort Scott, Kansas. Harry was a farm reporter and rural circulation solicitor for the Fort Scott Daily Tribune. He reported the trends and events of the farming industry throughout the years. His weekly column on the Tribune Farm page, entitled Town and Country, became one of the most widely read features of the Tribune.